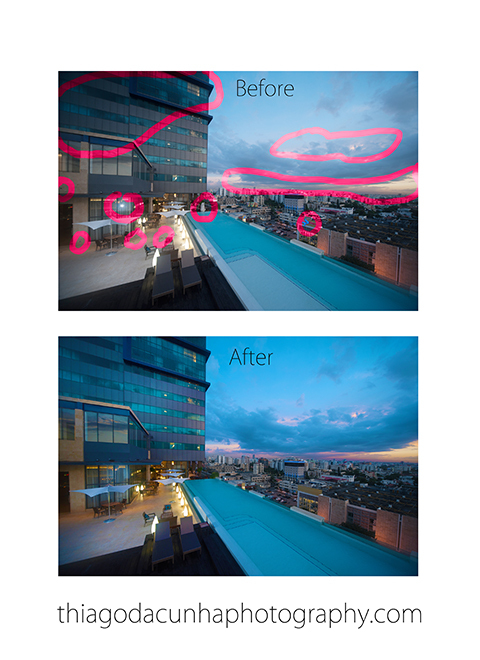 As far as I can remember, retouching has always been around in photography. When I used film, my then retoucher could retouch on the photograph or on the negative. I was and still is an art form for me. As with all images before sending them to a client, some retouching is done. Here is an example of an image I did for the JW Marriott Santo Domingo. Small details are all taken into consideration.